Solid-state clarity or tube warmth, which to choose? We suggest you stop wasting time pondering that old argument and choose the BlueTube DP dual-path mic/instrument preamp, which lets you apply fat, warm 12AX7 tube tone or go with solid-state transparency. The solid-state path leads to our classic high-headroom, Class A XMAX™ mic preamplifier with 54 dB of gain. The tube path features a high-output, 12AX7 vacuum tube that operates on voltages double that of other preamplifiers in its class, producing lots of headroom and big tone. You get all the secondary features you expect in a professional-grade preamp: 48V phantom power, an 80 Hz high-pass filter, -20 dB pad to control hot input signals, and a polarity-reverse switch. Each channel has an illuminated VU meter so you can visually monitor your input levels. A Tube Drive control provides a wide range of sounds: when it’s clicked off, you’re using the solid-state preamp for quiet, transparent amplification; when it’s engaged, your signals flow through the tube preamp, and you can achieve anything from gentle warmth to edgy distortion. Thanks to its two combo mic/instrument inputs, the BlueTube DP is an excellent choice for guitars and basses, as well as for vocals. With balanced XLR and unbalanced ¼” main outputs, it serves as a dandy direct box (DI). If you’re a singer-songwriter who performs solo with a guitar, you can run your vocal through one channel and your guitar through the other, then feed both to the house system—no guitar amp needed. Try the BlueTube DP as a front end for your DAW, as well; sure, your recording interface might already include preamps, but few of them give you both tube and solid-state operation. The BlueTube DP is packaged in a compact, rugged, 1/2U chassis so it can be used as a desktop unit or rack-mounted with the optional 2UHR rack adapter. To top it off, we offer the BlueTube DP at a very affordable price. So if you’re debating between getting a tube preamp or a solid-state preamp, quit torturing yourself! Get the best of both worlds with the most versatile, best-sounding mic/instrument preamplifier in its price range: the BlueTube DP. Excellent choices for mobile musicians, sound designers, and podcasters, the USB 2.0 bus-powered AudioBox iOne and iTwo provide high-quality audio I/O for Mac®, PC, and Apple iPad®. These compact, ruggedly built interfaces offer high-performance Class A mic preamplifiers, record 24-bit audio at up to 96 kHz, and include powerful, easy-to-use Studio One® Artist DAW for Mac and Windows and Capture™ Duo recording software for iPad. 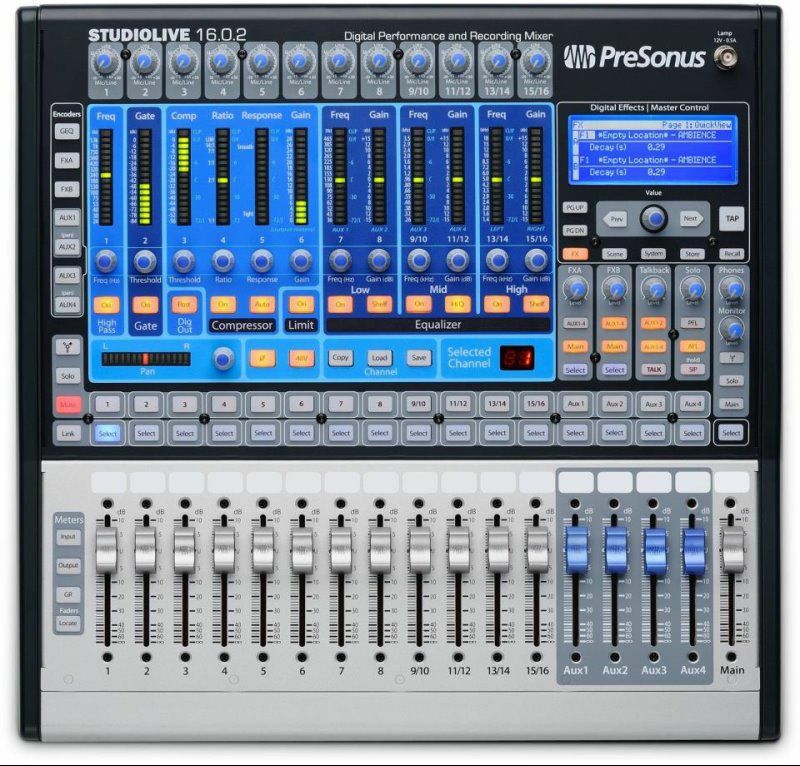 Tightly Integrated Software—As You Expect from PreSonus! 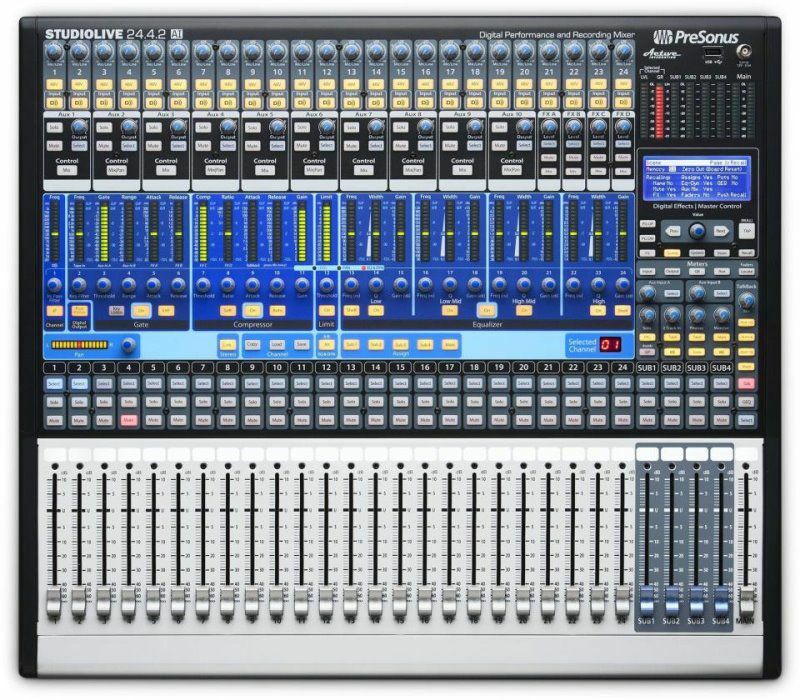 PreSonus is famous for its tightly integrated hardware/software solutions, and the AudioBox i series is no exception. Of course you get Studio One Artist. But we didn’t stop there! 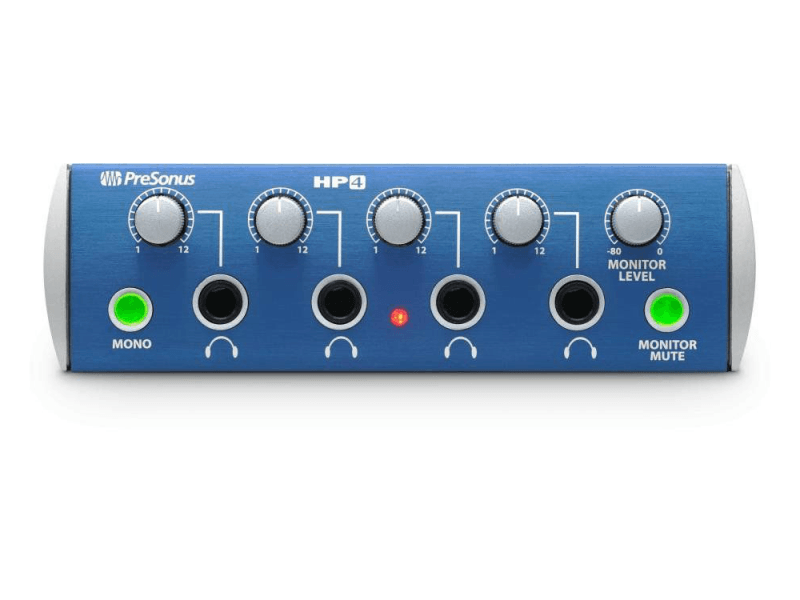 PreSonus’ award-winning analog signal processors and microphone preamps have long been popular among top professionals and home enthusiasts alike. So when you see the name PreSonus, you expect top audio quality—and the AudioBox i series delivers. Heavy Metal Never Weighed So Little! AudioBox iOne and iTwo are mobile interfaces in the best sense of the term. They can sit on a tabletop or fit in the pocket of a backpack or laptop bag and are powered by the USB bus, so you don’t have to mess with a “wall wart” power supply or AC cord. And they’re built to withstand the rigors of travel. We designed AudioBox iOne and iTwo to excel as mobile interfaces, so we built them to take a serious pounding and remain completely reliable. They’re built like small tanks, with a metal chassis and knobs/jacks secured directly to the enclosure to reduce strain on the internal circuit board. So toss the AudioBox iOne or iTwo in your backpack or laptop bag and take it along! Wherever your travels take you, your AudioBox i-series interface will be ready to perform. We could have stopped right there, but it’s not our way to stop when we can give you even more. So we included an internal analog mixer with zero-latency monitoring, enabling you to monitor recorded tracks and overdubs with no annoying delay time. 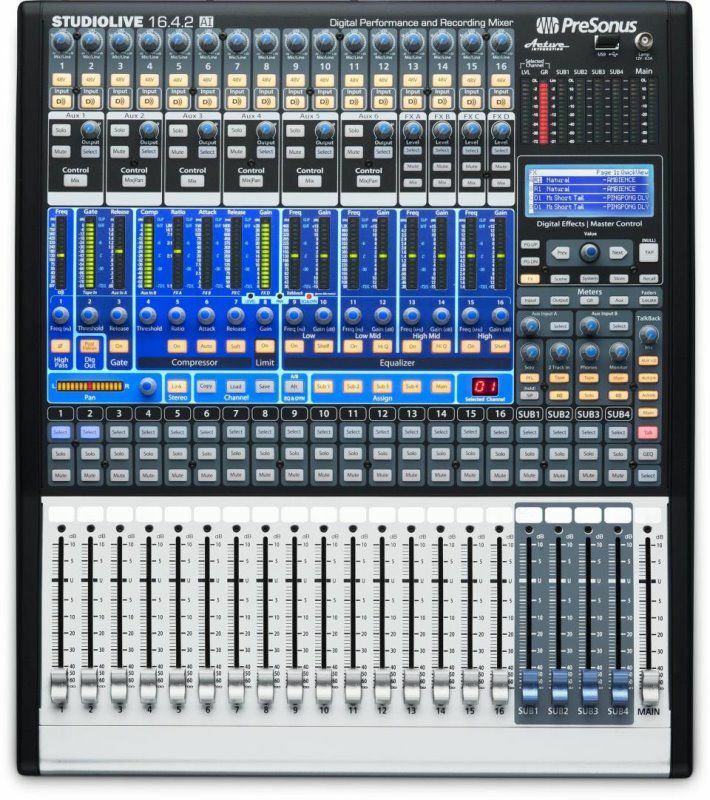 The iOne lets you use a 50-50 mix of recorded tracks and live input; the iTwo lets you create your own mix. So if you’re looking for a simple, versatile recording interface with exceptional sound quality that works with a Mac, PC, and iPad, look no further than the AudioBox i series. Because sometimes a simple, well-made, well-designed solution is exactly what you need. The AudioBox i series consists of two great 24-bit, 96 kHz mobile-recording solutions: the compact AudioBox iTwo and subcompact AudioBox iOne. All features are available in both the AudioBox iOne and the AudioBox iTwo except where otherwise specified. 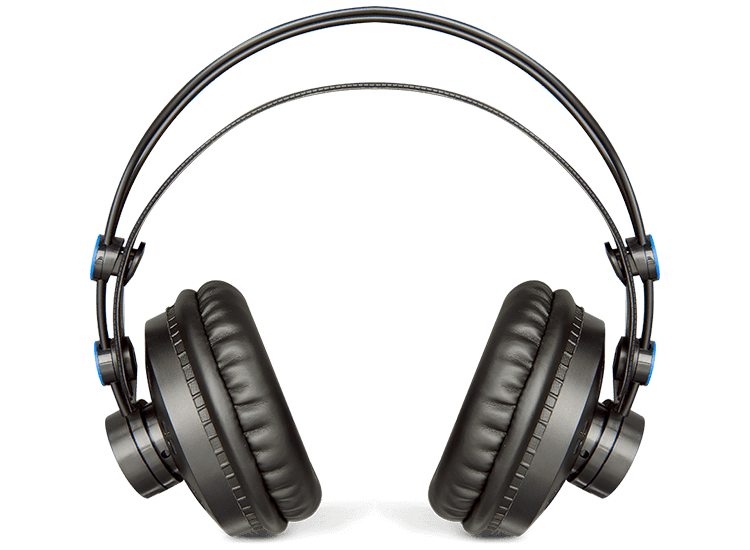 Are you and your session players and bandmates tired of straining to hear underpowered headphones? We were too. That’s why Jim Odom and his jambalaya-fueled team of engineers designed 150 mW headphone amps for the HP4 headphone-distribution system. These headphone amps are not just loud enough for session and stage use, they’re loud enough to explode the oysters in a Po’ Boy sandwich. Yet the sound is clear and clean, with a wide dynamic range. At last, everybody will be able to hear—assuming they are capable of hearing. Be careful with that level control! Simplicity is the HP4’s hallmark. You get left and right line inputs, left and right line outputs with level control, and the four headphone outs. You can globally mute the headphone outs, adjust the overall headphone level, sum the stereo signals to mono, and mute the rear-panel Monitor outputs. The HP4 can sit on a tabletop or can be screw-mounted to a standard rack tray (not included), where it requires just 1/3 rackspace. And if your needs grow, you can use the line outputs to feed the inputs of a second HP4 or an HP60. Chain as many headphone systems as you need. So listen up! Quit struggling with mediocre headphone amps. Get the HP4 and hear everything loud and clear. You owe it to your music. 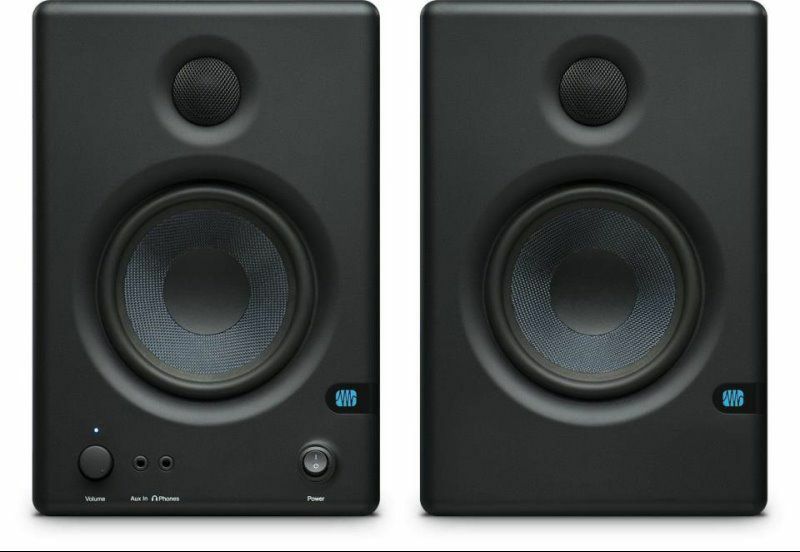 When you’re serious about creating music, you need monitor speakers that will reveal all of the flaws in your tracks and mixes. Eris professional studio monitors deliver the truth, thanks to very accurate response, tight bass, and clear upper end. AudioBox iOne: The USB/iPad Recording Solution for Guitarists and Songwriters. The interface for guitarists and songwriters on the go. Inspiration is everywhere for singer/songwriters, so bring your studio with you and record wherever you go. The PreSonus AudioBox® iOne lets you capture your voice and instrument on your Mac, Windows PC, and iPad. Simply plug in your guitar and microphone, and you’re ready to create! USB bus-powered and bundled with powerful, easy-to-use recording software, the AudioBox iOne makes it easy to capture ideas and create professional-quality recordings. The AudioBox iOne and its software library make recording your compositions and tracks easy! Record in stereo on your iPad with free Capture™ Duo or record up to 32 tracks with affordable Capture for iPad. Then wirelessly beam your iPad tracks to our award-winning Studio One® recording and production software for Mac or Windows for editing and mixing. Or do the whole project on your laptop with Studio One. Either way, the AudioBox iOne and its software library provide all the tools needed to record on the road and in the studio. To record great-sounding music, you need outstanding preamps and digital converters. And to hear what you’re doing, you need a headphone amp that keeps up with the rest of the design. The AudioBox iOne delivers it all! We’re famous for our award-winning microphone preamplifiers, and we’ve equipped the AudioBox iOne with a new, sweet-sounding mic preamp that will capture your voice in all its glory. Clean, clear, 24-bit, 96 kHz digital converters and an ultra-loud, crystal-clear headphone output ensures you hear every detail. AudioBox iOne is a mobile interface in the best sense of the term. It can sit on a tabletop or fit in the pocket of a backpack or laptop bag and works with standard iOS power accessories. Its metal chassis is built like a small tank—yet it weighs just 1.35 pounds (0.63 kg). Wherever your travels take you, whenever your creative muse calls, your AudioBox iOne interface will be ready to help you compose and record your masterpiece. 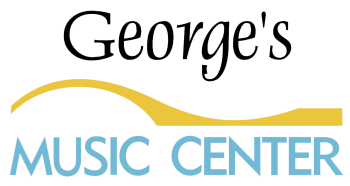 Check it out at your favorite PreSonus® dealer - George’s Music Center. The lightweight HD7 automatically adjusts to any head size and features comfortable, durable ear pads. The straight, detachable, eight-foot cable drops down one side so it doesn’t get in your way. The result is a comfortable listening experience that you’ll continue to enjoy during long sessions. And the HD7 is built tough so you can rely on it wherever your travels take you. Whether you’re monitoring, tracking, mixing, or just listening for pleasure, you can expect impressive sonic performance from these professional-quality headphones. They deliver natural, warm, clear sound and take advantage of a patented, semi-open sound chamber to deliver exceptionally deep low frequencies. You’ll enjoy accurate midrange and extended treble response that let you pick out the fine details of a mix or track, along with balanced, yet powerful bass punch.